The longer I’m in Japan, the more I find myself doubting whether things are strange or if perhaps I’m just out if the loop. Upside-down Christmas trees, six-eyed snowmen…my sense of normal is changing with every passing year. 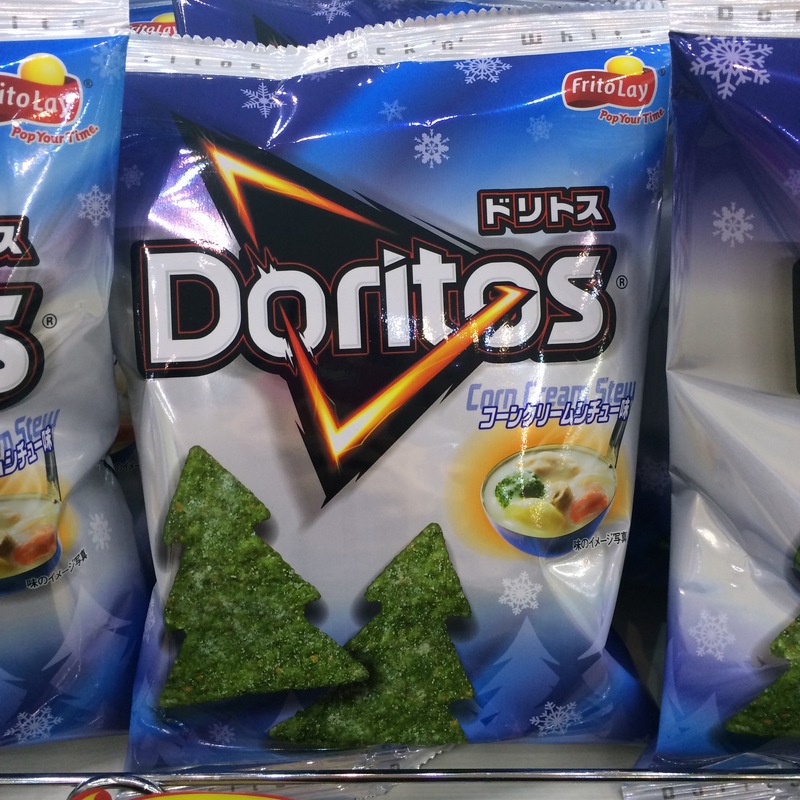 With these new Christmas tree Doritos, they just seemed so clever that it was hard to believe that they hadn’t been done before. I mean, they just make sense, right? The color is easy to change, and the shape is already pointy. What better for a Cheistmas party than a bowl full of corn cream stew Doritos? Ok, that last part still sounds pretty Japanese. The flavor is pretty decent though. Corn soup and cream stew are winter mainstays here, and you can usually find the former in the hot section of the vending machine. By the way, it seems really strange to me that other places don’t have hot vending machines in winter–it just makes sense. I went to university in Montreal, and the quality of life there would be improved tenfold if hot vending machines were on every corner. Waiting for a bus in -40 degree weather would be way better with a can of hot corn soup in your pocket! Anyway, these corn cream stew flavored chips are subtly flavored. The creaminess is nice, but very mild. 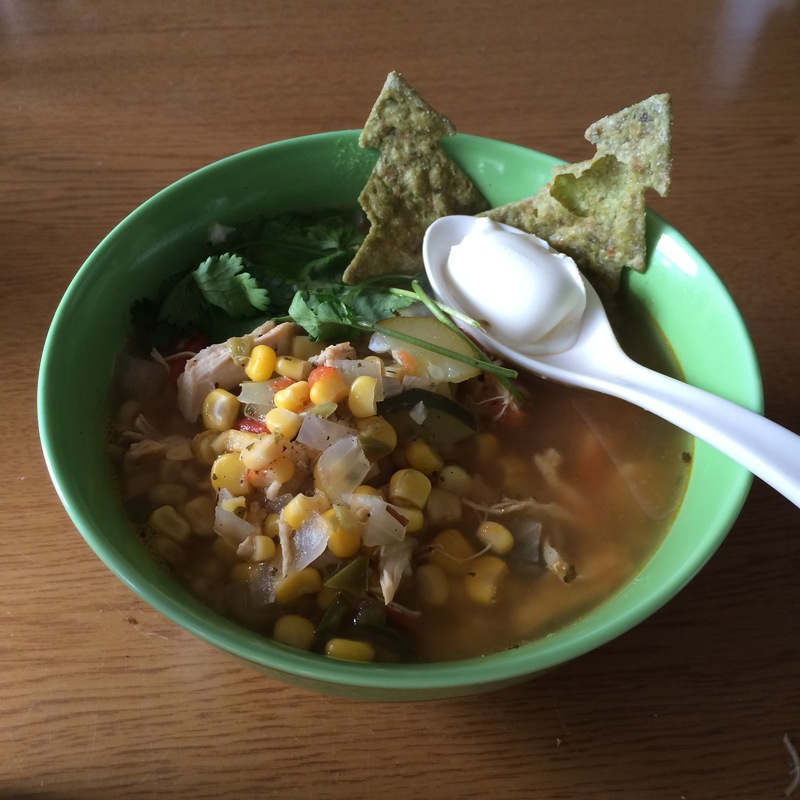 The even provided help in a pinch when I ran out of plain chips for my chicken tortilla soup. Aren’t the just adorable? I think these should become a Christmastime staple around the world! What do you think? Would you try these or are they too silly? Cream soup flavored chips: weird or awesome? Let me know! This entry was posted in Food! 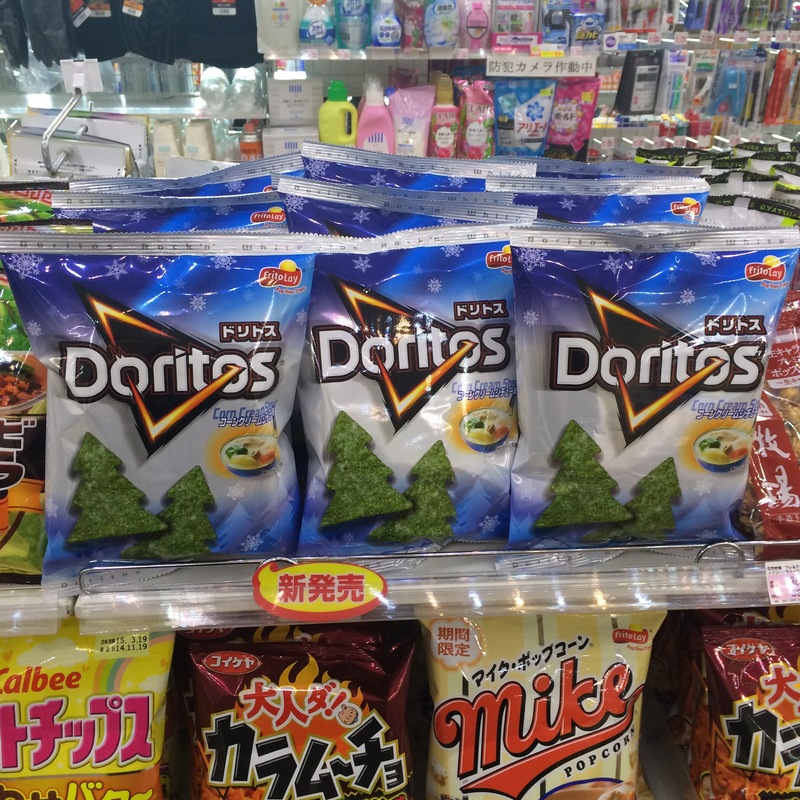 and tagged christmas, christmas tree, dorito, doritos, Japan, life in Japan, only in Japan, snack, winter. Bookmark the permalink. 3 Responses to Christmas Tree Doritos! HAHA. You can decorate your Christmas tree with those. I continue to worry. Alice,……trust me, this stuff is weird. Come home.